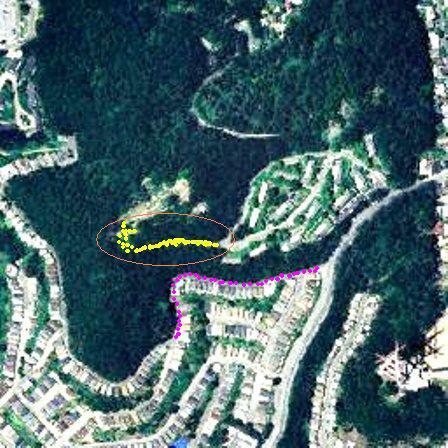 UCSF recently sent out a notice that it would be trimming and removing hazardous trees in the forest along Nike Rd, which connects the Aldea campus and the Native Garden at the summit. This road (shown in yellow dots and marked with the ellipse) is just above Christopher (shown in pink dots), and runs parallel to it for some distance. There are more details on the Save Sutro website. ← What’s Up at Laguna Honda Hospital?